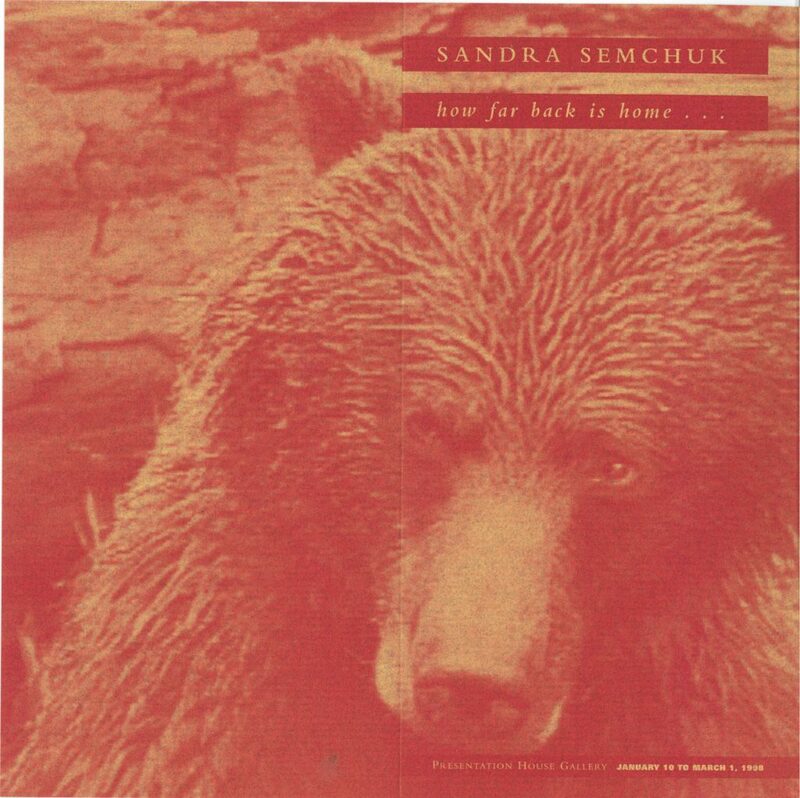 A twenty-five year survey of work by Vancouver artist Sandra Semchuk, addressing issues of identity, mortality and our relationship to the land. Participants: James Nicholas, Vancouver writer/actor and Native activist; Daisy Sewid, First Nations elder/linguist from Campbell River; Ellie Epp, filmmaker/writer, San Diego/Vancouver; Ron Burnett, writer, President of ECIAD, Vancouver; Rod Slemmons, Seattle curator/ writer/ teacher. 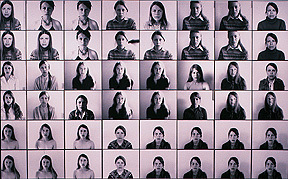 Organized and circulated by the Canadian Museum of Contemporary Photography, Ottawa. Organized and moderated by Sandra Semchuk, in conjunction with the Gallery. Presentation House Gallery published a catalogue in conjunction with the exhibition, including text by Ron Burnett, Rod Slemmons, Ellie Epp, Daisy Sewid-Smith, Sandra Semchuk and James Nicholas. Saturday Fenruary 21 | Public Forum: Land, Relationship & Community, will address how our relationship to the land shapes our relationship to self and community. This project is funded by the Canada Council's Dissemination Assistance Delectable Deli Co., Cheers Restaurant & Banquets, Glenn Hunter at the 3rd Street Esso and Starbucks at Lonsdale Quay. 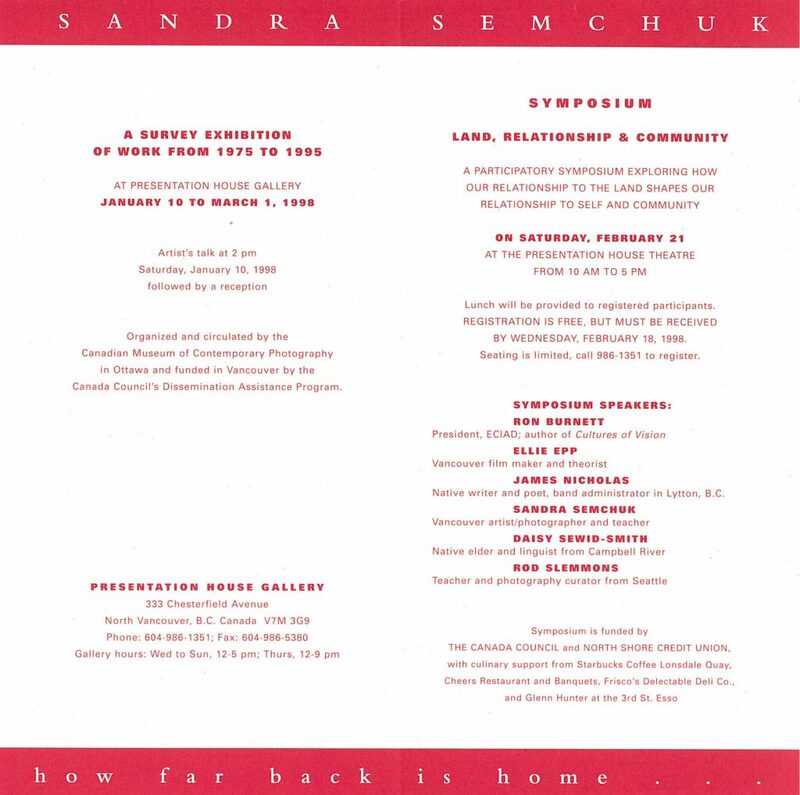 Papers from the symposium Land, Relationship and Community held in February, 1998 and organized in connection with the exhibition Sandra Semchuk : how far back is home. The speakers at the conference addressed issues related to the symposium’s title from six very different angles, in effect ‘working around the subject’ and in the process creating a composite portrait of our relationships to the land and the role that art and communication can play in it. 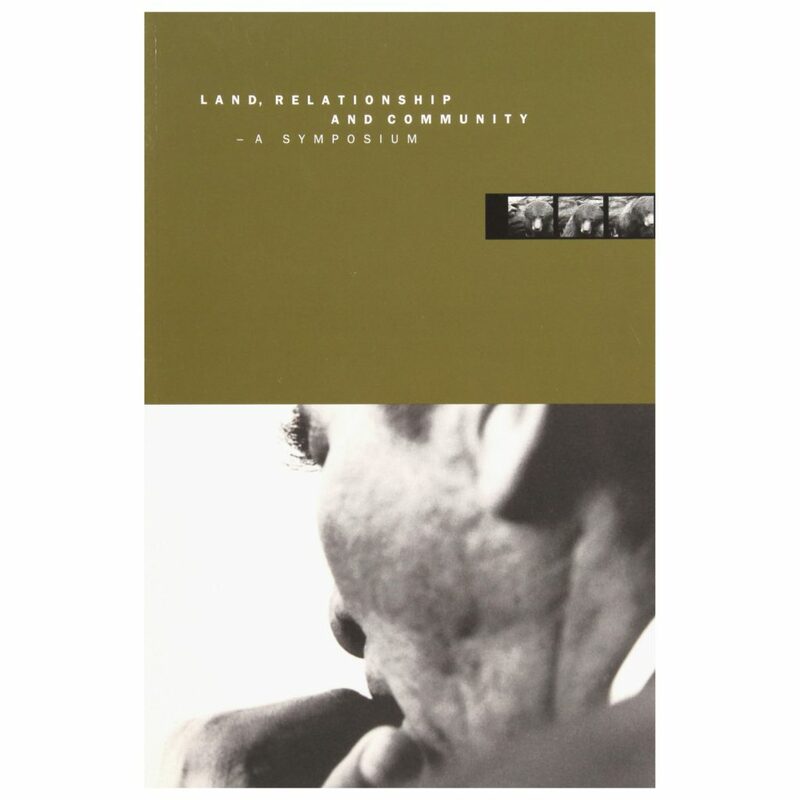 This is a key document for anyone with an interest in the land claims process, the role of land imagery in art and the nature of the complex relations that exist between ethics and the way that land shapes perception. Texts by Ron Burnett, Rod Slemmons, Ellie Epp, Daisy Sewid-Smith, Sandra Semchuk and James Nicholas.